1. What cause large pores and blackheads? 2. Which ingredients can be used for the treatment of pores and blackheads? 11. Homemade face mask for pores and blackheads – What to notice? How to make the most effective homemade face mask for pores and blackheads? A bright, smooth, and flawless skin is the dream of every girl in this world, no matter what it takes. However, it is not that easy to maintain the youth outlook in your face, as those ugly blackheads and large pores usually appear around the nose and cheeks. Not only people with oily skin that encounter this problem, but it also happens to most girls. Nowadays they have designed many convenient and special device to remove blackheads without harming the pores. But if you have a sensitive skin, it is essential to know WHAT IS THE BEST BLACKHEADS REMOVER FOR ALL SKIN TYPES to pick the most suitable product for your face. Besides the blackheads removers, have you ever thought that some ordinary items in your house are extremely useful in this common skin issue? They are easy to find, gentle with your skin, but they come with a reasonable price. Keep reading to know how to turn them into amazing homemade face mask for your skin! What cause large pores and blackheads? Have you ever typed crazily on the Google toolbar to find THE ANSWER FOR “WHY ARE THE PORES ON MY FACE GETTING BIGGER?”. Then here it is. A sebaceous gland underneath the hair follicle excretes sebum – a unique type of oil that maintain the essential moisture for the skin. But if the amount of sebum is excessive, plus with dust and dead skin cells, they may form a substance that clogs the pores and enlarge them. Dermatologist experts notice a high chance that the substance will create a bump inside the hair follicle, which is known as a comedo. If there is a thin layer of skin that covers the bump, you will see a whitehead appears in that area. But if the bump isn’t cover entirely, the interaction with the air turns the white content into the black – which is the ugly blackhead that you usually notice. The appearance of blackheads is attributed to many self-conditions, including excessive oil production, bacteria infection, hormonal changes, or even the present medications. HOW LONG DO BLACKHEADS LAST depends on many internal factors, but there is a high chance that they will last forever if you don’t know how to treat them well. Whatever reasons they are, blackheads often assemble around the cheeks and nose, which makes you extremely unconfident when hanging out. So, HOW TO GET RID OF BLACKHEADS ON CHEEKS and in other parts of your face? Besides the products that you may see in the advertisements, many household remedies are very effective with the similar result. Everything you need to do is collecting some ingredients in your kitchen, and follow some simple methods that are listed below; a unique homemade face mask is ready to use! Which ingredients can be used for the treatment of pores and blackheads? Many people think that squeezing is the most effective way to remove every kind of acne, including blackheads. But this method causes more harms than good if you perform it in the wrong way. WILL BLACKHEADS GO AWAY WITHOUT SQUEEZING and what are possible ways to remove them? Taking over the counter (OTC) treatments: Some drugs contain benzoyl peroxide, salicylic acid, and resorcinol – which are normally used to treat acne – work to limit the excess oil and stimulate the skin to turnover, thus reduce blackheads. Taking prescription medications: In case the OTC doesn’t help, other strong prescription drugs are indicated. They include vitamin A, tretinoin, tazarotene, and adapalene. These ingredients are very helpful in preventing the forming of the plugs while promoting skin rejuvenation. Microdermabrasion: Now it’s time to go to the spa and ask dermatologist experts to perform this unique procedure. They use a special device with a sand-like surface to remove the top skin layers and dust that may clog the pores. Laser and light therapy: The intense waves will penetrate through the skin and reach the deepest sebaceous glands – where the sebum comes from. It controls and decreases the oil production without touching the first skin layers. Exfoliation: It seems that exfoliating the skin is most preferred as anyone can use this method at home without effort. There are two ways to remove the dead skin cells: physical and chemical peels. They all have the same purpose, but using physical methods means that you may need the help of a rough substance to rub on your face, while chemical techniques required to be applied on the skin and wait for a while. Keep reading TOP AMAZING METHODS ON HOW TO GET DEAD SKIN OFF YOUR FACE to learn more about the possible ways. Each method mentioned above has its own negative sides. Not to mention the adverse effects that you may encounter while taking medications, using improper interventions may leave behind small damages on your face or even enlarge the pores. So, how to reduce blackheads and large pores without harming your skin? Have you ever think that some daily items in your kitchen may work better than any commercial products? Yes, it is priceless, easy to find, and it treats your skin gently and naturally. We are talking about homemade face mask for pores and blackheads that comes from household ingredients. Don’t wait until blackheads go away on their own, just drag down, and you will know how to turn them into a fabulous solution for your face! The benefits of baking soda are far beyond the baking field, as it is an amazing ingredient for pores and blackheads problems. Its dominant element – bicarbonate – works to scrub dead skin cells away, prevent blackheads forming, and promote a smooth skin surface. Besides, it neutralizes the recommended pH and reduces the oil production, which also means that there is no chance for plugs to clog the pores. How to use this homemade face mask for pores and blackheads? In a small bowl, combine one tablespoon of baking soda with half a cup of water, stir well to form a paste. Rub the mixture on your face and massage in a circular motion to remove the dead skin cells, focus on the nose and cheeks. Rinse the face with lukewarm water. Keep applying the mask 1-2 times per week. Since there haven’t been any reports of the adverse effects of baking soda in topical use, it is considered safe for everyone. However, there are some complications related to oral bicarbonate ingestion including acute and chronic reactions, so you need to consult a pharmacist before using it orally . 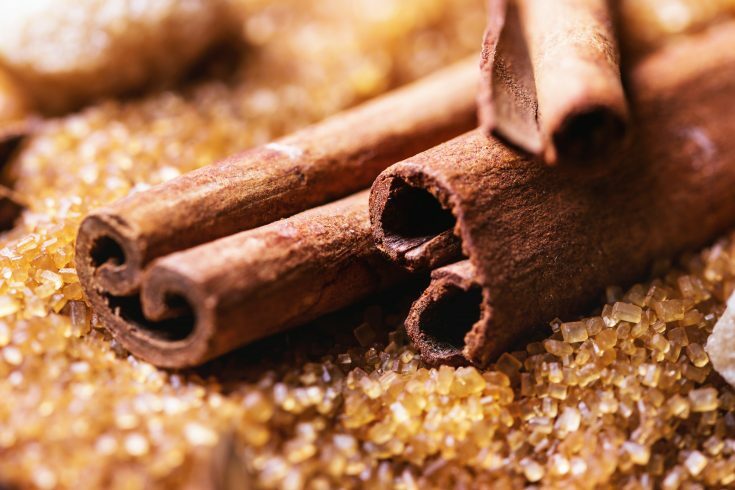 Besides its effects in cuisines and aromatherapy, cinnamon has been more and more common in the cosmetics industry. While acting like a face scrub for pores and blackheads, it eliminates the appearance of acne in general and uplifts your spirit with a warm and touching odor. You will feel totally relaxed when applying this homemade face mask for enlarged pores and blackheads related problems. Combine cinnamon powder and honey with 1:2 ratio to make a paste. Spread the mixture all over your face with a thin layer. Let the mask sit for about 15 minutes. Wash off the mask gently with lukewarm water. Repeat 2-3 times a week for the best result. Instead of throwing coffee ground into the garbage after drinking, now you can save it for many beauty purposes, including facial scrub or even self tanners! Don’t you believe it? THREE PRICELESS WAYS FOR HOMEMADE SELF TANNER THAT DOESN’T WASH OFF are the must-try recipes for this summer! Now come back to the face mask topic, the primary use of coffee ground is its perfect texture for a facial scrub that reduces the enlarged pores and ugly blackheads. More than that, the antioxidants compound in this ingredient is an essential component of skin healing process, not to mention the fabulous scent. Mix the liquid together, then add the coffee ground. Finally, drop the essential oil and blend all the ingredients. You should have a paste-form consistency. Rub the mixture on your face gently, avoid the eyes area. Leave it on your face for 5-10 minutes. The remained homemade face mask should be kept in an airtight container and put in the fridge. 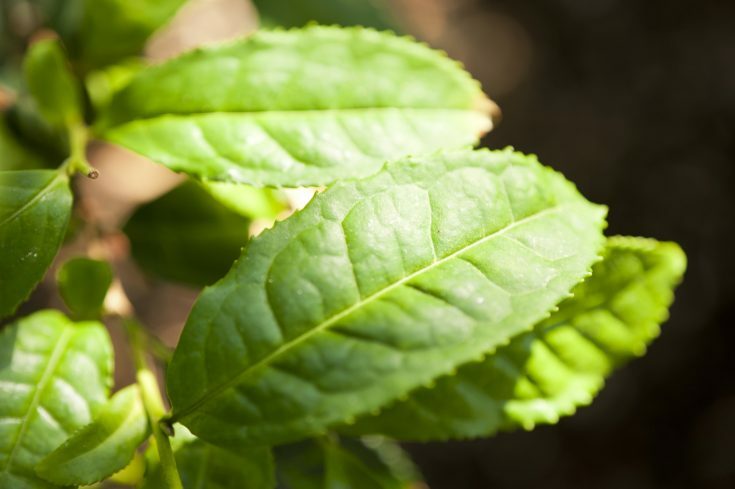 The beneficial effects of green tea have been noted since they discovered that there are plenty of antioxidants and vitamins inside this herb that treat a variety of health and beauty issues . It has been a vital ingredient in many skin care and makeup products, as well as daily supplements to boost your energy. Here comes another formula that adds green tea to minimize the pores and blackheads. You only need two ingredients: green tea powder and honey. While one works to calm your skin and reduce blackheads, another keeps your face smooth and nourished from the deep inside. Mix the green tea powder with honey in 1:1 ratio (you may need at least 1 teaspoon each), then blend it well. Apply the paste to your face in circular motion. Leave the mixture on your skin for 15-20 minutes. Wash the mask off with warm water, then pat dry using a soft tower. Mentioning about detoxification, it could be a big mistake if we forget bentonite clay. It was named after the place where it was first discovered. This unique clay contains a huge amount of minerals that can remove the impurities inside the pores, control excess oil, and prevent the forming of blackheads. Since there is a wide range of peeling masks on the market that contain Bentonite clay, people usually forget the original one. But here we remind you about one of the strongest homemade face masks for pores and blackheads, plus with many detoxification properties. Combine one tablespoon of clay with one tablespoon of water or apple cider vinegar. Mix until you have a paste consistency. If the mixture is too thick, add more liquid until it is easy to spread. Apply the paste on your face and neck using a makeup brush or fingers. Leave the mask for 20-30 minutes or until it dries out and you start to feel tight. Rinse off the mask with warm water. If it sticks to your skin, dab the water and rub gently to remove the clay. Some people may experience a pink face after applying Bentonite clay mask, but it is just the blood flow stimulation. It will disappear after a few minutes. 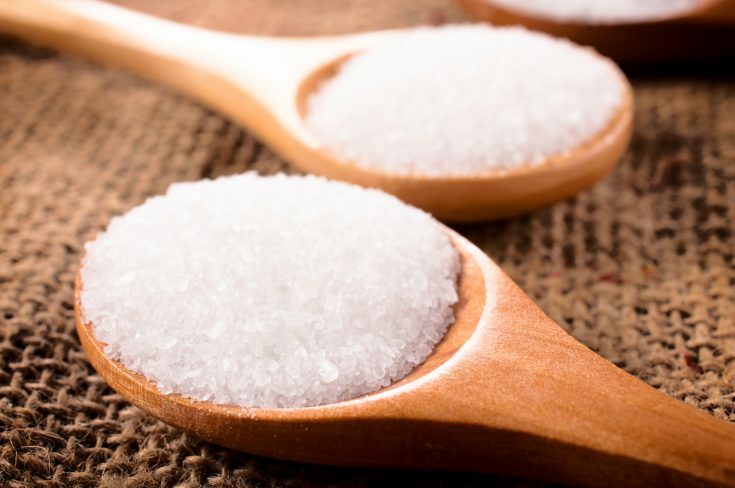 Granulated sugar has nothing more than the sandy-like texture – which is perfect for pores and blackheads. Everything you need to do is adding some carrier oil to soften the skin while sugar does its job: shed the dead skin cells off your face and remove clogs. Jojoba oil is the most effective carrier oil since it is somehow similar to the skin sebum, but you can still pick olive oil or grapeseed oil alternatively. In a bowl, mix half a cup of sugar with 2 tablespoons of jojoba oil, combine with a few drops of your favorite essential oil. Mix all ingredients until they become incorporated. Wet your skin, then spread the mixture all over your face. Rub the skin in circular motions. Rinse the face with cool water. Repeat 1-2 times per week for the best result. The reason why this natural ingredient is considered chemical substance is that it contains acetic acid. Unlike the homemade face mask mentioned above that have a rough texture, acetic acid has the ability to shed the dead skin cells for smaller pores and prevent the appearance of blackheads. With a proper pH concentration, it balances the pH of the skin as well. There are many ways to use this daily remedy. You can apply the liquid on your face as a toner, or mix it with water if the skin is sensitive. In a bowl, mix one teaspoon of baking soda, one teaspoon of apple cider vinegar and two teaspoons of honey. You should see small bubbles showing up due to the reaction between acetic acid and sodium bicarbonate. Apply the mask on your face and let it sit for 5-10 minutes. The name of Epsom salt doesn’t sound familiar to most of us, but it is nothing more than magnesium sulfate – a mineral compound. Due to the shape of tiny and colorless crystals, many people often misunderstand this compound with sea salt. So how does this tiny substance do wonders for your skin? Unlike other methods that remove the dead skin cells and other potential clogs, Epsom salt stimulates the clogs to pull out and wash them away. That is why you need to exfoliate your skin before applying the Epsom salt mask. Exfoliate your skin by using any methods above, focus on the nose and cheeks areas. Combine one teaspoon of Epsom salt with half a cup of hot water and a few drops of iodine. Mix well until every ingredient dissolve. Allow the liquid to cool down, then massage the content in the affected area. Let it sit on your face until it dries completely. Wash your face with warm water and pat dry using the soft towel. Homemade face mask for pores and blackheads – What to notice? Those mentioned ingredients treat your skin amazingly, but it doesn’t mean that you can use them anytime you want. In some cases, the improper use may lead to skin irritation or even enlarge the pores. There are some notes that you need to remember when using the homemade face mask for pores and blackheads. You mustn’t forget this step at the end of the day. The remained makeup layer on your skin is a potential risk of clogging pores which leads to blackheads and excessive oil production. Prior to any exfoliation, you need to wash your skin thoroughly with a gentle cleanser. This step removes dirt that covers the pores, thus makes exfoliation more effective. If you wonder WHAT IS THE BEST PORES MINIMIZER FOR EXTRA LARGE PORES, you mustn’t forget toner. After using any commercial or homemade face mask for pores and blackheads, it is essential to apply some toner. Your pores are now totally clear, so it’s time to give it a rest so it could narrow gradually. Any beauty methods will become harmful if you abuse them, especially exfoliation for pores and blackheads. The ideal frequency is no more than two times per week, so your skin will have time to rejuvenate and get back its elasticity. 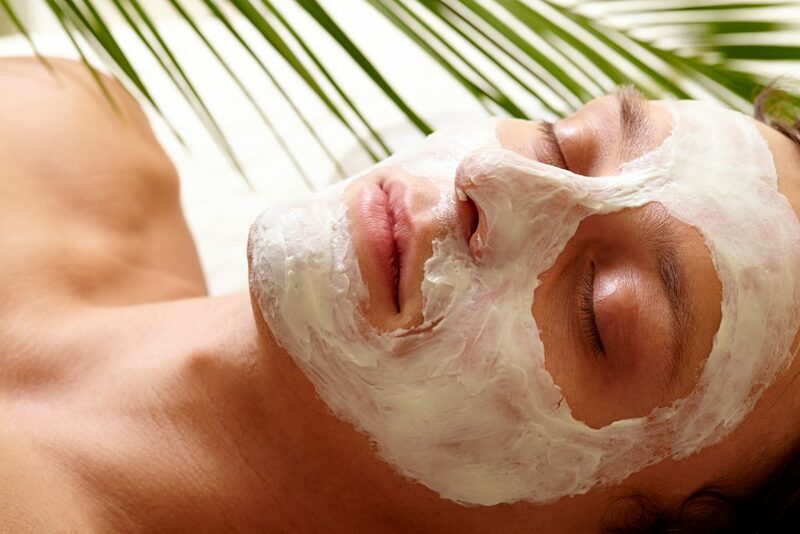 When the mask has already been on your face, you should let it sit for 5-20 minutes, depends on each ingredient. Being on your skin for too long may increase the risk of skin irritation, which appears in redness, rash, and rough skin. Whichever ways you use, please keep your skin hydrated every time! Inadequate moisture stimulates the sebaceous glands to produce more and more sebum, combine with dead skin cells and dust, they form a substance to clog the pores. There are two ways to keep the skin hydrated: drink water and apply moisturizers. You should consume at least 1.5 liters of water, combine with applying cream or lotion twice per day. It is not that hard to make your own homemade face mask for pores and blackheads, isn’t it? Now you can go to the kitchen, collect some items, and try some magic tricks with them. Let’s see how your skin will improve in the next few days! Don’t forget to click LIKE and SHARE if you find this information helpful! If you have any question, please post a comment below. We are ready to help you anytime!